What should you expect when it is time for your child’s first visit the dentist? North Raleigh Dentist, Adams and Cheek is here to help! A first dental visit is an exciting and important step in your child’s life. First impressions often stay with us for life. This is why, as your North Raleigh dentist, our team at Adams and Cheek Dentistry does everything we can to make the first impression of dentistry a GREAT one! As your North Raleigh Dentist, we begin seeing patients around age two or three. 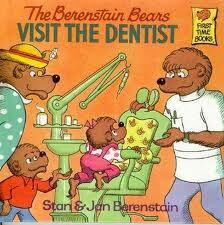 Some people opt to see a pediatric dentist, as early as, one year old. We aim to make the first visit as simple and positive as possible. We may do as much as an exam and cleaning; we may just ride in the chair and meet Mr. Squirty and Mr. Thirsty, or we may just get a cool toothbrush and new toy. Our objective on their first visit, unless we see something of concern, is to teach you how to care for your infant’s or toddler’s mouth, proper use of fluoride, oral habits, including finger and thumb sucking, teething and milestones of development, the link between diet and oral health, and to have a fun visit to set them up for relaxed fun dental visits in the future. Here are some helpful hints to ease any anxieties. First, try to avoid saying words like “shot,” “hurt,” “scary,” etc., when describing the dental visit as this can make getting them to let us look at their teeth a little more difficult. We spend a lot of time telling our children to stay away from strangers, and rightfully so, so don’t be concerned if they are shy on their first visit. You also may want to visit our website and show them a picture of the dental hygienist they will be working with, our dentists, and even our fish tanks! This will give them some familiarity as well as introducing our office as a fun and safe place. There are numerous books and articles describing “My First Dental Visit” to help them understand what will happen at their first visit. A fun Youtube video is also available here! 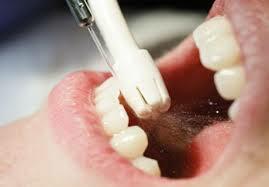 The ADA’s mouth healthy site and Colgate provide more information and tips. If you are in the area and looking for a North Raleigh Dentist, please click here to make an appointment for your child at Adams and Cheek Dentistry. Our phone number, location, and hours of operation are also available on our website.